A selection of some of the print work created by the studio. We designed the logo and packaging for DaCotta, a line of pasta created and distributed by a Houston merchant. 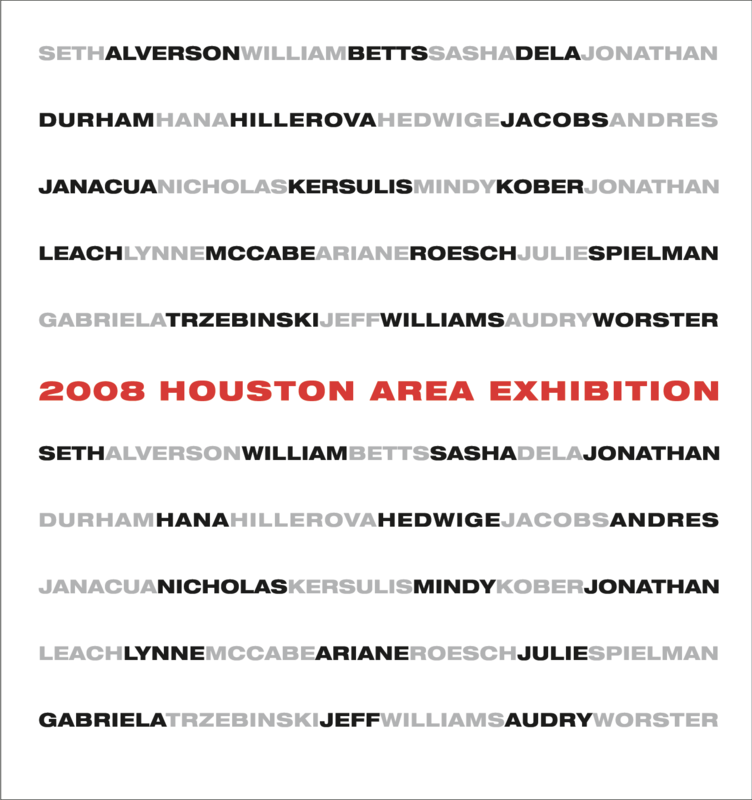 Design of the Exhibiton Catalog for the 2008 Houston Area Exhibition. Held every four years, this survey exhibition provides a critical overview of artistic activity in Houston and thus reflects changing issues and concerns in the cultural community. 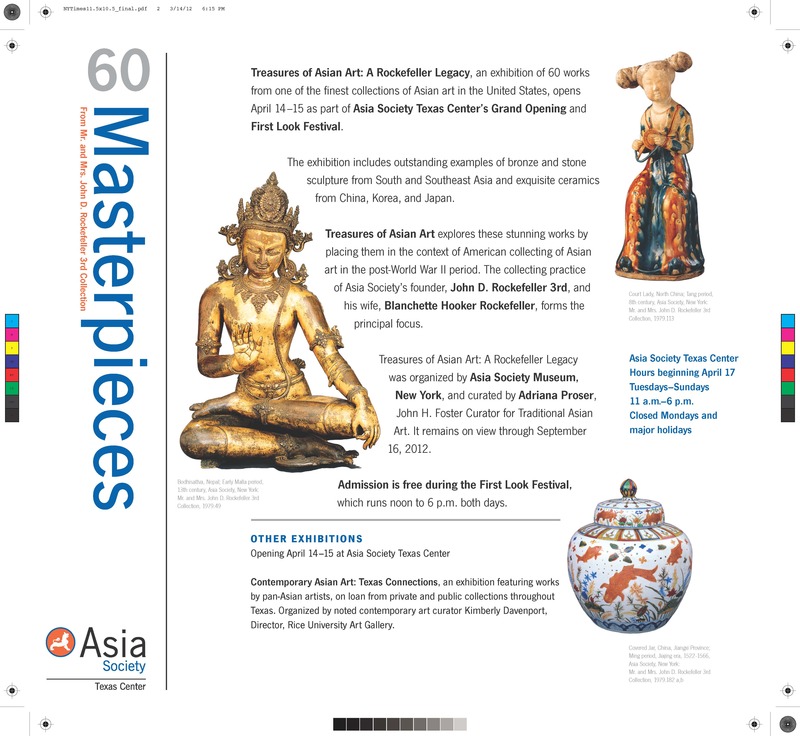 View a PDF of the catalog. 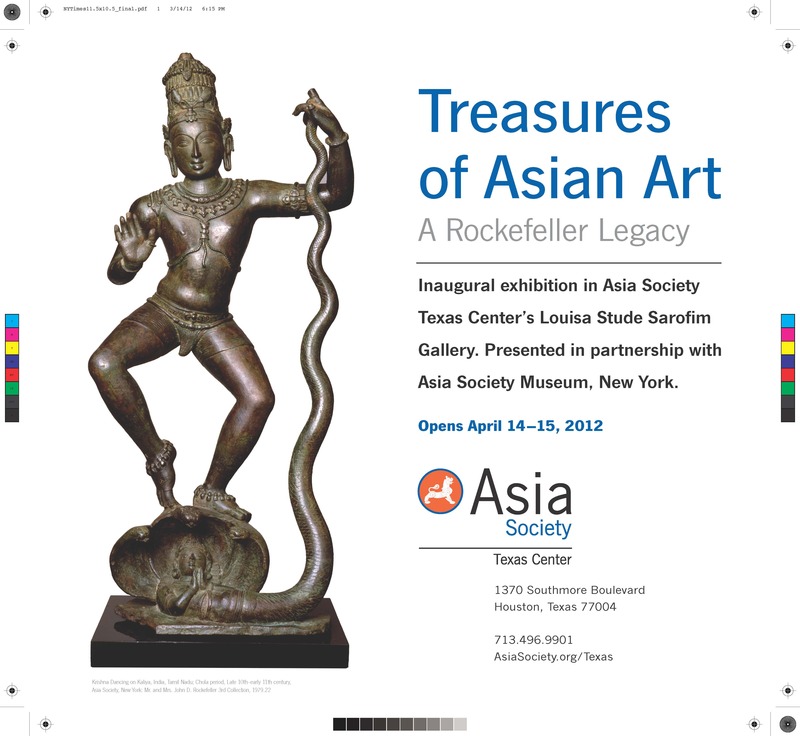 For the grand opening of the Asia Society/Texas Center, we designed a number of different print ads for various publications. This one is a two-sided insert that ran in the Sunday New York Times promoting an exhibition of 60 masterpieces from the Mr. & Mrs. John D. Rockefeller 3rd Collection. View the verso. 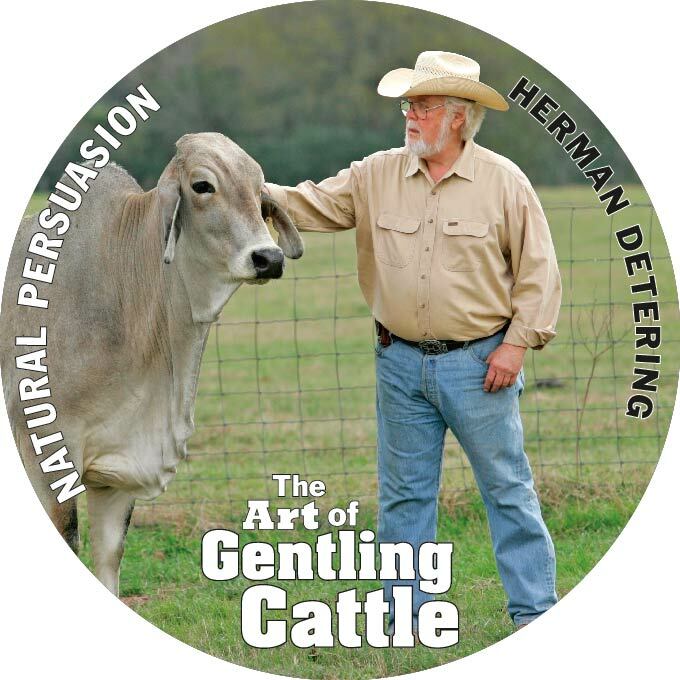 Design of a DVD and case for Herman Detering of Piney Creek Farms, for his instructional video on “Low Stress Cattle Handling”. View a PDF of the DVD case. 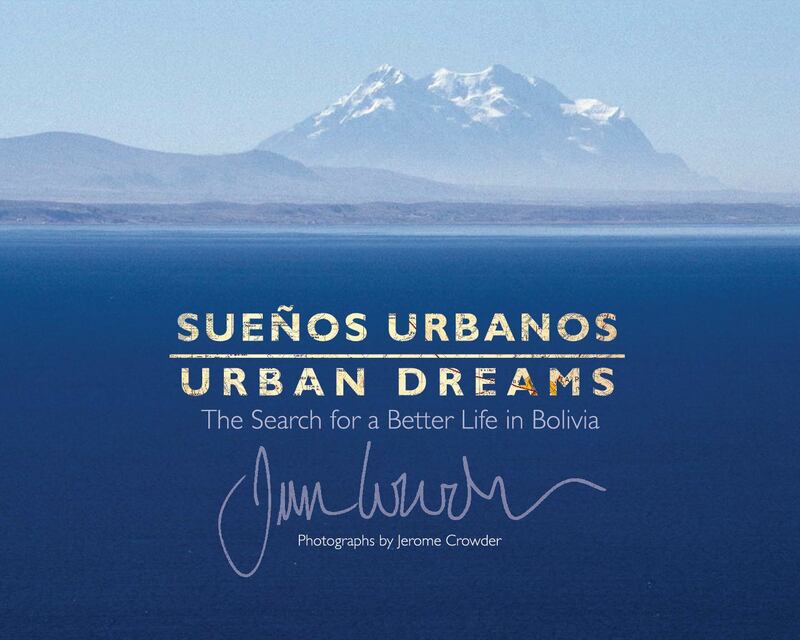 We designed a brochure for photographer Jeremy Crowder promoting his exhibition, “Sueños Urbanos—Urban Dreams”. It is a collection of 40 photographs that follows Alvaro in his journey from a rural community on the Altiplano to his new home in El Alto, near La Paz, Bolivia. It was printed on one side with an accordion fold. View a PDF of the printed piece. 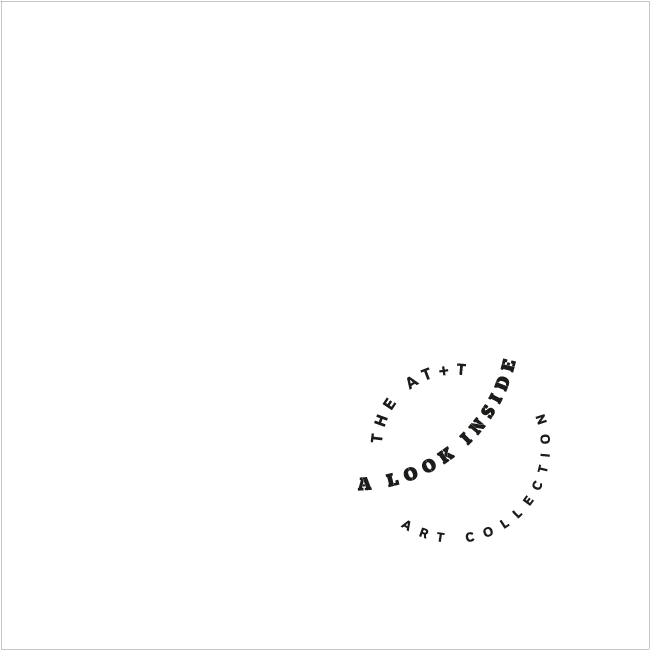 AT+T requested the design of a catalog for their corporate art collection. The cover was embossed type on a white stock. The interior was 4-color, designed in a 2 page spread, with the the artist’s bio on the left and their artwork on the right. View a copy of the catalog in PDF format.